Is it Windows Vista bad? So I was doing a bit of a refresh on Hyper-V for a project I have upcoming later this year and I came across a superb offer from Microsoft and Prometric which was released in September last year. I would say I’m surprised I missed it, but at the time it was released I was on paternity leave after the birth of my second child (a reasonable excuse I think!). Basically MS are offering a free exam voucher for the 70-659 Windows Server 2008 R2, Server Virtualization exam. This seems to be a good introduction to Hyper-V and well worth taking, if only to expand your knowledge across virtualisation technologies, and especially if you’re a VMware hypervisor fanboi like me! If I enjoy it I may even go ahead and complete the next two exams after this (70-669 Windows Server 2008 R2, Desktop Virtualization and 70-693 Windows Server 2008 R2, Virtualization Administrator) which will give me a second MCITP (nice). Signing up for the free voucher is not exactly crystal clear from the description, but all you actually need to do is phone up your local training provider (our preferred supplier is Global Knowledge and their test centre is near me so I called them first) and their Microsoft team simply emailed me a free voucher! The main proviso is that you must complete the exam by 31st May 2012, giving you 4 months, which seems reasonable enough to me… As it happens, I’ve booked my exam for just 3 weeks after my VCAP-DCD, so it looks like I’ll be cramming a fair bit for the next couple of months! Once the VCAP-DCD is is out of the way, I’ll post up the training materials I use for the 70-659 in case they are of some use to others. UPDATE: If you are an MS partner then use the following link and code to get the 70-659 and 70-669 training for FREE for 2 months (subscription ends July 31st)! So I completed my VMware vSphere: Design Workshop [V4.x] last August, but just a week after that my second daughter was born. 6 months (and many dirty nappies) later, I have finally gotten around to looking at taking the exam! I did consider simply waiting for the vSphere 5 DCD exams to be released, but considering how long the v4 exams took to be released, I don’t think it’s worth the wait just now. I plan to take the exam in late March, giving me 8 weeks to prepare, so much like I did with my VCP5 Exam Prep Guide, I will post an expanding list of my VCAP4-DCD exam prep materials below, in the hopes that it may be of some help to others. Well worth the time (and money – paid for by my employer, advantages of being a permie!) in my opinion. It is basically an opportunity to sit down for three days and go through a fictional design, end to end, using all the VMware best practices and guides, whilst shooting the breeze with like minded individuals. The manual provided with this course is very good, and a few days prior to my exam I plan to read it again cover to cover. Online “virtual” training course from VMware. Pretty steep price for only 4 hours training IMHO, especially when they only give you 3 months access… For $240 (£152) I would expect permanent access to it! Fortunately, again I didn’t actually have to pay for this myself. Were I contracting, I would seriously think twice about skipping this! I believe some people can access this for free, depending on your VMware Partner level. If there is one resource which I can recommend above all other’s it would be this book. Buy it on Kindle for less than £20! Its the best £30 you’ll ever spend! A superb and easy read. This is a short book concentrating on the nitty gritty of vSphere clustering. You will need to know this if you want to pass the exam! Again, spread out your reading, and don’t try to take it all in in one go! The official exam blueprint/guide. As much of a pain in the ar*e as it is, I suggest at least scanning through every document referenced in this guide. If you know it all (and have practiced it lots) then you *should* be ok in the exam! Sean Crookston has very kindly packaged all the required PDFs up in an executable zip (based on 1.3 blueprint but its basically identical), thanks Sean! I wont have time to go through them all, but I’ll post a few highlights shortly. Also make sure that you go through his discussion on Objectives 1.1 / 1.2 / 1.3 / 2.1 / 2.2. I believe Sean would have done more but time constraints stopped him at that point, but what he has done is really useful and worth a read! A useful resource as this gives first-timers a chance to get used to the “Visio”-style exam interface and get an idea of the types of activities required in the exam. This requires registration, and only lasts 3 months from reg. 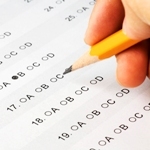 Its disappointing that they do not give you sample exam questions for practice as you normally get with the VCP exams. This one does not require registration and repeats the above without your interaction. Gregg has a raft of links to prep materials, of which I plan to go through as many as possible. A superb resource with highlights for every area of design of what you should be considering. VCAP Brown Bags by Alastair Cooke et al. This is based on the VCAP-DCD5 (not yet out) but should still be applicable to VCAP-DCD4. Update: Having watched these, I can confirm that there are very few areas which are specific to vSphere 5, so I highly recommend you save these up and watch them as part of your final exam prep / review. You shouldknow most of it already if you have covered enough in studying, so with luck this should be a great way to do final revision. Excellent session where Alastair Cooke goes over the VMware VIM (Virtual Infrastructure Methodology). This is all just as relevant to vSphere 4 as it is to 5. A great reminder of the key things you need to remember when designing storage. Sometimes a bit hard to hear due to the VoIP method, but still a great presentation. Watch this when you are doing your final revision. Much like the above. A good reminder session which very quickly goes through each key design choice and highlights pros and cons for each with a number of discussions based on live questions. Ran out of time after 75 mins so to be continued below. Gladly, Alastair teaches this session himself, which is great as he is obviously a very good trainer. One great tip I gained was when defining your replication strategy for your RPO, don’t forget that the time to replicate must be within the RPO timescale, especially when using periodic replication. For example if your RPO is an hour, then your replication must complete within that hour. A 2 hour replication on a 1 hour RPO doesn’t meet requirements!!! The closer your RPO gets to zero, the more likely you will need continuous replication. When under an hour, start to look into asynchronous replication. Once you’re getting into RPO times under 5 mins, you will probably start needing to look at synchronous replication, which obviously causes latency, and may dictate distance to your DR site etc. Direct link from Vimeo as the main link page on demitasse.co.nz seems to be missing it. The detailed slide decks can be found here and here. One wee golden nugget was to use folders in the datastore view to lockdown permissions. A really simple use of this is to put all the local VMFS volumes into one directory and secure it, that way admins wont have to sift through them when creating VMDKs as they will not appear in their views, so this reduces risk of putting VMDKs in the wrong place. A simple continuation of the previous session. Only lasts 45 mins or so. No partial points – all or nothing! Partial points given, based on being correct with 2-4 key ideas. Worth a lot of points per answer, e.g. 20-40 pts! Partial points given, based on up to 20 checks against your design. – Do all multi choice questions first. – Second time through, do drag and drop questions. – Third time through do design questions, which means you know how much time you have left. Scheduled for 29 March 2012. Irrespective of my exam being over this week, I will be tuning in (though maybe not live as I think these run at about 6am for us in the UK)! Other Brown Bags – DO NOT MISS THESE! A great preparation tool to use closer to the time of your exam. This goes through a couple of design scenarios and discusses the different options you could consider. Definitely watch this! Superb presentation pitched at an appropriate level. Lots of good storage design tips here. If you don’t watch anything else, watch this! Only 40 minutes long. More of a refresher of things you should be remembering anyway, plus a couple of information nuggets. Watch it in your lunch hour. Very good session led by Scott Drummonds, formerly of VMware, now EMC. Absolutely worth a watch! Covers ESX(i), Storage, Memory, NetIOC/SIOC, and a quick bit about troubleshooting. Detailed review of best practices by Duane Fafard from IBM. He goes through his whole design process from Fabric, to arrays, queue depths, pathing, and much more. The design stuff is based on IBM HW, but applicable on any vendor setup. A great presentation and some really useful tuning and troubleshooting tips. This is audio only, but you can download the slide decks so no biggie. This is a good reminder session if you read Scott Lowe’s book, if not, it’s essential! The first ~25 mins are the most important, after which it all becomes very NetApp specific. First of all, skip the first 20 mins which is very basic. Second, if you have already read Scott Lowe’s design book, the rest of this presentation should really just be a refresher. Nothing much new here. Run by Jason Nash of TrainSignal vSphere Security course fame, this presentation is an excellent into to Cisco Nexus 1000v. Doesn’t go into masses of detail (he only has 50 mins to be fair! ), but still highly recommended. If you want more detail, try the TrainSignal course (at a cost! ), or read the VMware white paper Guidelines for Implementing VMware vSphere 4 with the Cisco Nexus 1000V Virtual Switch. Just watch the first 20 mins for a quick overview of VAAI by the guy who wrote it! The rest talks about features which have basically come out in vSphere 5, though jumping to > 38 mins or so lets you hear the Q&A session which is quite interesting too. Some great best practice recommendations, along with some great info on NetIOC and recommendations for shares, etc. My only complaint is that the speaker is speaks VERY fast, which he does apologies for at the start, but its quite distracting. Definitely a good session though. Some useful solutions for iSCSI multipathing, though the presentation is not that well done and jumps about a bit. You may be better just reading the iSCSI SAN Configuration Guide (vsp_41_iscsi_san_cfg.pdf), page 36 onwards. A great session part presented by the ever-knowledgeable Duncan Epping. If you haven’t read his HA book, don’t miss this! Be warned: some muppet who edited the video has left the muzak running in the background for the entire video! Just turn the volume down a lot until you can mainly only hear the presenters, and as little music as possible. Very annoying! Covers a lot that you should already know if you read Scott Lowe’s book, but a decent presentation and some good reminders for the kind of questions to ask yourself in section 1 of the VMware “design framework”. Ok session, but most of this info you should already know. Skip the first and last 15 mins as they are very basic, and the Q&A session is poor as they don’t repeat the questions for the mic! This is not a guide to security, it’s a guide to the security guides!!! They do highlight some of the most important recommendations, from 21.5 mins onwards if you want to watch it, otherwise, just read the actual vSphere 4.0 Security Hardening Guide pdf, referenced in the 1.6 blueprint! An excellent presentation on SRM from the inimitable Mike Laverick of RTFM-ED. First 40 mins for the best DCD related content. An excellent technical and architectural presentation by Michael White of VMware. Dives into multiple areas of SRM and many best practice tips. Dont miss it if you want to learn more on SRM! A quick 30 minute run through a couple of use cases. The Weyerhaeuser was far better in terms of actually going into detail on the SRM implementation, and lessons learned. Jump to 11:30 for this. The blueprint is for 2007 but I think this presentation is still worth mainly seeing for the first half. Most of the stuff up until he starts discussing DAGs is relevant to 2007, plus you should be reading the Best Practices Guide: Microsoft Exchange Solutions on VMware, the Exchange Getting Started Kit, and Microsoft Exchange Server 2007 Performance on VMware vSphere™ 4 white papers anyway. This applies to 2005 or 2008 so is appropriate. Its a great presentation (skip the basics at start). Main point to note is that MS SQL DB Mirroring is the best method for virtualising SQL, though you do double your disk reqs as compared to MSCS. FT is also good for single CPU VMs with small, but critical DBs. The price to pay for flexibility! Dont forget the Best Practices Guide: Microsoft SQL Server and VMware Virtual Infrastructure and Performance and Scalability of Microsoft SQL Server® on VMware vSphere 4 white papers too. Good presentation, but may not all be relevant. Key points are around licensing and suggesting that you have dedicated Oracle clusters if you have enough Oracle DBs. Dont forget the Oracle® Databases on VMware vSphere™ 4 and Virtualizing Performance-Critical Database Applications in VMware® vSphere™ white papers. Very interesting case study, which gives a good insight into architectural choices and methods for a migration between two DCs whilst also virtualising Oracle onto a different OS! Interesting presentation, though the fist 15 mins or so are mainly marketing. Includes some use cases for things such as PCI compliance etc. Interesting case study with >100 remote sites controlled via a centralised vCenter in the main DC. Jump to 52 mins for architectural considerations, or read ROBO – Managing Remote ESX Hosts Over WAN with VirtualCenter. Just read the pdf if you have watched TA2222. If you’re keen there’s an mp3 only presentation too with a few more tips and deep dive info. Ok presentation if you don’t know much about the vShield product suite. I downloaded the MP3 and listened to this one in the car. If you don’t have time, don’t bother. This is basically a marketing presentation. Interesting, but basically not useful for study. I downloaded the mp3 and listed in the car to make my commute more exciting! Interesting first half of the presentation, though not a huge amount of design help. Low priority for watching. A little disappointing, and probably should have been in the partner presentations as half of it is a sales pitch! Useful only by examining the design decisions, and ignore the fluff. Skip the start and watch from 14 mins in. Don’t waste your time. This should have been in the 101 section. Not much new here but just a few good reminders on how to size up your source capacity / requirements and only takes 1-2 hrs to complete. Also counts towards the Infrastructure Virtualization competency. So I took my exam today and passed with a reasonably respectable score of 428 (pass mark for VCP-510 is 300/500). So how was it? The exam itself was reasonable, and not massively dissimilar to the VCP 4 in terms of difficulty and question style. The content was all pulled pretty much directly from the exam blueprint, so if you are confident you know the blueprint, then you should be ok with the exam. I would also STRONGLY suggest you take the official mock VCP-510 exam once you feel you are prepared enough, as it will give you a really good feel for the exam and if you pass it comfortably, you will almost certainly do fine in the real one. The exam has a total of 85 questions to complete in 90 minutes, which sounds tight, but when some of the simpler questions have very short (e.g. 1 word) answers, you can get through those in just seconds, giving you more time to complete the more tricky ones. Just don’t panic about time, or even bother looking at the clock until you’re at least 60 questions into it. I completed mine in about an hour. I used Scott Lowe’s Mastering VMware vSphere 5 as my main study aid, followed by building several test environments (thanks to the vSphere 60 day evaluation) and doing loads of practice questions etc. I would highlight the fact that his book does not cover much about the extras which are likely to come up, such as the VSA, vDR and even a basic knowledge of other VMware products (Workstation, Server, View etc). I would suggest a little time is dedicated to understanding the basic capabilities of these products too (perhaps a little unfair as the exam is on vSphere but hey?!). Next task: VCAP-DCD 4 (backwards I know)! So its that time of year again, when we VCPs have to bone up on the latest developments in the VCP world and get our exam done in time before we have to go cap in hand to our line management asking for them to pay for a course we never needed in the first place. In order to avoid this embarrassment, VMware kindly give us the opportunity (as existing VCPs) to pass the VCP-510 exam by 29th Feb 2012, bypassing the course attendance requirement (fair enough!). As per usual, I have left this pretty much until as late as I feasibly can while still giving time for the (hopefully never required as yet) resit, meaning I am booked in to sit my exam on 1st Feb.
For the sake of others who are also planning to take this exam, I plan to post the links to all of my study aids below, along with any other hints/tips I come across for studying towards the VCP5 exam. If it only helps out one or two people it’ll be worth the effort. One point worth highlighting is that reading books is all very well and good, but there’s no substitute for actually “doing it”. The best thing I would suggest is to create a home lab and use the vSphere 60 day evaluation to have a play with all the latest features. I have accomplished this in a couple of ways, but I found the most flexible to be running 2 x ESXi hosts and a copy of FreeNAS 7 inside VMware Workstation 8 (using NFS or iSCSI). I’ll try to create a post on this when I have time, but do a quick search on google for lots of other people with similar setups. This should be considered a “living list” for now, and I will endeavour to update it as I find/use further resources. A superb resource. Even though I am already VCP3 and 4 certified, it is still worth a full read, in part as a refresher, and in part because it does highlight many of the updates with vSphere. Kindle edition is also cheaper, and lets be honest, as vSphere 5 will be out of date in another couple of years, do you really need 2 kgs of dead tree choking up your bookshelf, when you could just have an electronic copy, which you can share across all your devices? I have spent an hour or two a night reading and taking notes from this for a couple of weeks, which is a lot less painful than trying to get through it in one go, and hopefully should ensure slightly better retention! Having read the vSphere 4 version of this (first Kindle book I ever bought) in prep for my VCAP-DCD 4 (still to sit), I can confirm Duncan and Frank are very capable teachers! An excellent resource which goes above and beyond the VCP requirements, but will give you a much more in depth understanding of HA, DRS, DPM, SDRS, etc. 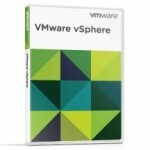 This will be invaluable when the VCAP exams are out for vSphere 5! If you know all this, then you cant fail! Particularly useful for a quick reminder skim for all the new features, prior to the exam. Official VMware blog post with documentation links for VSA stuff. Not covered in Scott Lowe’s Mastering Vsphere 5, but you will almost certainly be asked some questions on VSA in the exam. An excellent resource, especially if you have never taken a VCP exam before. HINT: If you can pass this, you’re probably good to go for the real exam. A great set of practice questions being regularly updated with extra questions… I actually met Paul when he taught my VMware vSphere Design [4.x] workshop. A very knowledgeable guy, and his website (www.elasticsky.co.uk) is well worth checking out and subscribing. A boat-load of questions here coving general knowledge and config maximums per feature. Please feel free to send me any links to practice questions and I’ll vet them and add them to the above list.